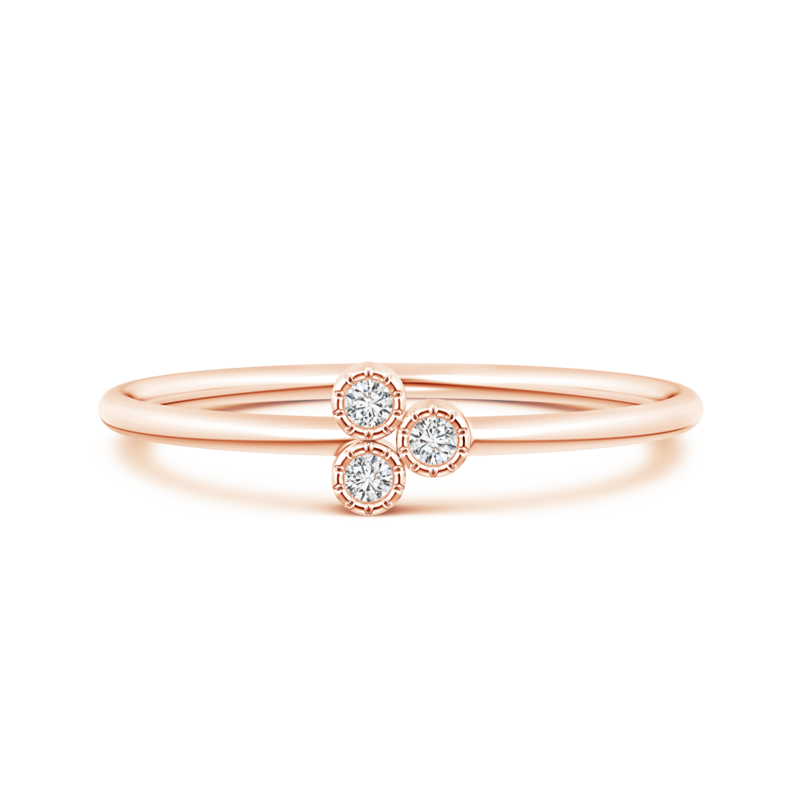 This flawlessly designed diamond trilogy ring may appear simple, but it is undeniably charming at the same time. The bezel set lab grown diamonds allure effortlessly with their purity and brilliance, while the cutwork detailing on their frame gives them the subtle appearance of blooming flowers. The sleek shank offers you the comfort to stack it along with other rings. Crafted in 14k white gold, this lovely diamond trio ring radiates elegance and versatility making it perfect for everyday wear.